After decades of overlooking Tuberculosis, it has finally emerged a worldwide political priority with the United Nations High Level Meeting scheduled for the 26th of September. World leaders will convene at the United Nations General Assembly in New York at the first ever high-level meeting that will discuss and set strategies to end Tuberculosis by 2030. 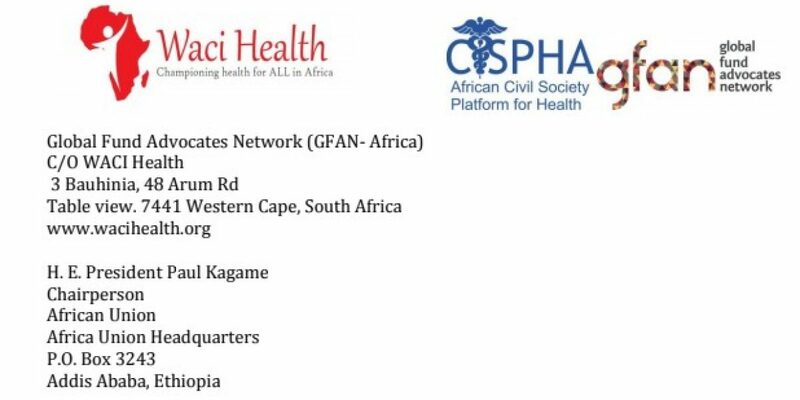 In a letter written, on behalf of civil society and community-based organizations committed to ending tuberculosis in Africa, to the African Union Chairperson – His Excellency Paul Kagame – Global Fund Advocates Network (GFAN Africa Hub) welcomed the President’s commitment to attend the meeting and encouraged him to have African Heads of State and Governments involve civil society in their New York delegation. Also included among the actions required to end TB in Africa and globally was a Common Africa Position paper on tuberculosis developed by civil society.